When the Valuer carries out the valuation, they will confirm the fee for selling your home. This fee can be a fixed or percentage fee and is payable on completion of the sale of your property. There are no up front costs, unless we organise your EPC for you (this can be discussed with your Valuer) and we operate on a “no sale no fee” Agency Agreement. Below is a list of possible costs you may be faced with when selling your property. You should ensure you obtain detailed individual costs for your own use. When buying a property there are a number of costs that you may be faced with. We would suggest you ensure you obtain detailed individual costs for your own use. 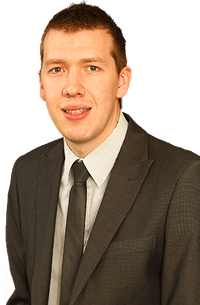 We have an in-house Financial Adviser, Andrew Harrod, who will happily go though the costs of moving with you in greater detail and we can also recommend local firms. An application fee is payable to secure the property and will provide exclusivity to you when an offer has been accepted, subject to the receipt of suitable references. This is the only fee payable prior to you moving in your new home. Our applications fees are £100 plus VAT per person, fees for guarantor applications may also apply. The association of Residential Letting Agents (ARLA) and the Royal Institute of Chartered Surveyors (RICS) recommend that a Landlord should allow one month’s rent to cover the cost of marketing a property and commencing a Tenancy in accordance with legislation. The costs of Letting will vary, dependent on the type, size and location of a property as well as the basis on which it is to be Let. The selected level of service will also affect the fee level and structure. During a Tenancy, a Tenant is commonly responsible for the cost of utilities and council tax. It is likely that a property will require maintenance during a Tenancy and a Landlord should budget accordingly. More information on the cost of Letting your property can be provided upon a market appraisal for you. For further information or help getting exact fees please contact one of our team by calling us on 01522 510044.